Biotique has recently launched an Advanced BXL Cellular Skin Care Range in the Indian market. These skin care products are made from 100% natural botanicals and biologically advanced ingredients. The range includes face cleanser, scrub, moisturizers, eye cream, face masks, face serum and more. 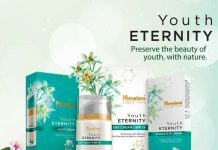 You can buy these products online from Biotique.com. Biotique BXL Cellular Cleansing Solution : This non-soap & non-alkaline lotion dissolves makeup and skin impurities and instantly refreshes the skin. This cleansing lotion is suitable for all skin types. Active Ingredients : Indian Berberry Root, Lodhra Bark, Red Sandalwood Stem, Methi Seed, Almond Oil. Biotique BXL Cellular Cleansing Solution Price in India – Rs.499 for 190ml. Biotique BXL Cellular Cleansing Oil : An ultra-gentle all-in-one oil that dissolves even stubborn makeup with ease. It keeps the skin calm, soothed & moisturized and can be used on face, lips and eyes. It is suitable for normal to dry skin people. Active Ingredients : Kushumbhi, Arandi Oil, Neem Oil, Soya Oil, Badam Tail, Surajmukhi Tail, Malakanguni Oil, Til Oil. 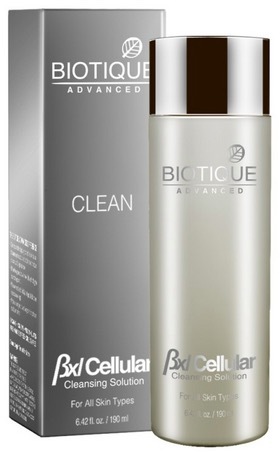 Biotique BXL Cellular Cleansing Oil Price in India – Rs.499 for 200ml. Biotique BXL Cellular Hydration Lotion : This lightweight lotion reinforces the skin’s oil and moisture balance and keeps skin evenly toned and free from dry lines & dark spots. It is suitable for all skin types. Active Ingredients : Behda Fruit, Methi Seeds, Madhu, Ankurit Gehun Seeds, Kusumbhi Oil, Vach Root. 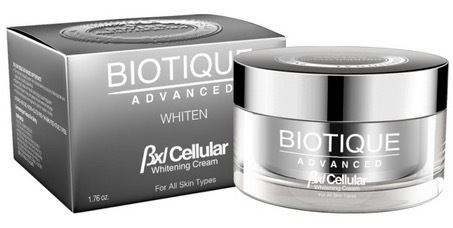 Biotique BXL Cellular Whitening Cream : It is a targeted de-pigmentation moisturizer which helps fade dark spots and leaves skin even toned and radiant. Active Ingredients : Nariyal Water, Dudhal Root, Dugdh Powder, Manjistha Root, Nimbu Leaf, Badam Oil. 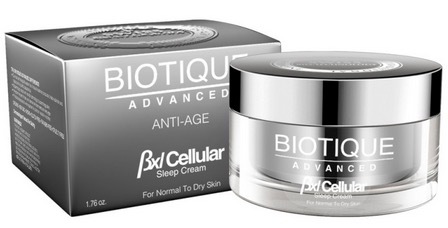 Biotique BXL Cellular Sleep Cream : It hydrates & tightens facial and neck contours and reduces the appearance of fine lines and wrinkles. It is suitable for normal to dry skin. Active Ingredients : Ankurit Genhun Seed, Gajar Seed, Badam Oil, Kulanjan Rhizome, Khubani Seed Oil, Sunflower Oil, Purified Water. 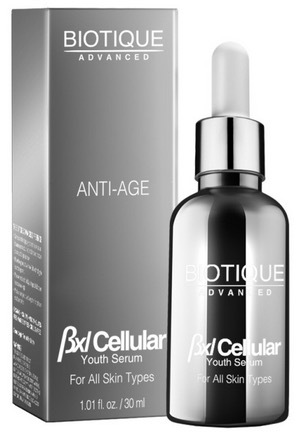 Biotique BXL Cellular Youth Serum : This ultra-concentrated formula helps in lighten and brighten skin tone. It hydrates, fades dark spots and helps eliminate highly pigmented cells. Active Ingredients : Bihidana Seeds, Halon (Chansaur) Seeds, Jaiphal Oil, Badam Oil, Surajmukhi Oil, Khamir Powder, Doodhal (Dandelion) Root, Bees Wax, Groundnut Oil, Purified Water. Biotique BXL Cellular Nourishing Pack : This nutrient-rich treatment deeply hydrates the skin and helps diminish the appearance of fine lines for a smoother, glowing and ageless appearance. Active Ingredients : Pista Kernel, Kesar Flower, Jaiphal Seeds, Barley Seeds, Masur Dal Seeds, Gulab Flower, Makka Seeds, Geru Powder, Tesu Powder, Santra Chilka, Daru Haldi Root. Biotique BXL Cellular Rehydrating Scrub : It extracts impurities, dead skin cells and visibly tightens pores. 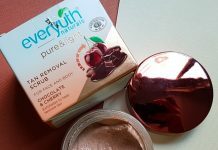 This face scrub is suitable for all skin types. 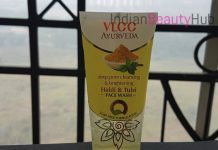 Active Ingredients : Papita Fruit, Kela Pulp, Khajur Pulp, Neem Bark, Methi Seeds, Yashad Bhasm, Banhaldi Rhizome, Aam Beej, Bees Wax, Kikar Gum, Moongphali Oil, Purified Water. Biotique BXL Cellular Resurfacing Scrub : This cream based scrub comes with brightening botanicals. It removes dead skin cells, unclogs pores and keeps skin fair and even-toned. It is suitable for normal to dry skin. Active Ingredients : Walnut Bark, Sunflower oil, Methi Seeds, Pudina Leaf, Red Sandal Wood, Neem Bark. Biotique BXL Cellular Whitening Pack : This intense, de-pigmentation treatment comes with hydrating botanicals. It helps reduce the appearance of dark spots, discolorations and improve skin clarity, freshness and radiance. Active Ingredients : Milk, Yeast, Ankurit Genhun Seeds, Badam Tail, Surajmukhi Oil, Madhu, Chinnai Ghas, Neem Bark. Biotique BXL Cellular Anti-Spot Pack : A targeted treatment for hyper-pigmentation and uneven skin tone. It fades dark spots and reveals a noticeably clearer, fresher, younger-looking complexion. Active Ingredients : Multani Mitti Powder, Geru Powder, Yashad Bhasm, Tomato Juice, Pineapple Juice, Babul Gond. 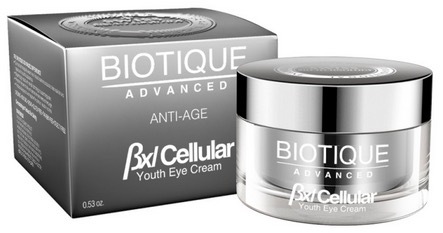 Biotique BXL Cellular Eye Cream : It provides daily support for delicate eye areas and gives lifted, younger contours. Suitable for all skin types. Active Ingredients : Jaiphal Oil, Almond Oil, Sun Flower Oil, Bihidana Gel, Sikta Tail. 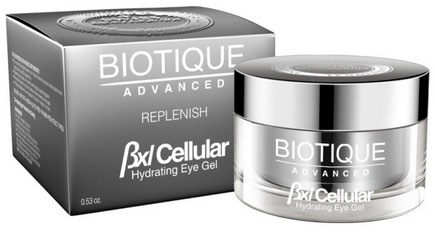 Biotique BXL Cellular Eye Gel : Highly hydrating eye gel diminishes dark circles, deflates puffiness, minimizes fine lines and erases signs of ageing. Active Ingredients : Punarnava Root, Behda Fruit Pulp, Badam Oil, Jaiphal Oil, Madhu, Chinnai Ghas Plant, Kheera Juice. BXL Cellular Protection Cream SPF 30 : An ultra-soothing, anti-wrinkle sun cream for the face and sensitive skin areas. It comes with broad spectrum UVA/UVB filters and provides 30 times natural protection in the sun. Suitable for normal to oily skin. Active Ingredients : Ghrit Kumari Gel, Yashad Bhasm, Surajmukhi Oil, Chandan Tail, Kusumbhi Oil. BXL Cellular Protection Cream SPF 40 : Comes with broad spectrum UVA/UVB filters and provides 40 times natural protection in the sun. Active Ingredients : Parijat Patra, Carrot Seed, Lodhra Bark, Ankurit Gehun Seed, Yashad Bhasam, Singejerahata Powder. BXL Cellular Protection Cream SPF 50 UVA/UVB Sunscreen : It is enriched with moisturizing and brightening botanicals to preserve skin fairness, softness and firmness. Comes with broad spectrum UVA/UVB filters and 50 times natural protection in the sun. Active Ingredients : Shwetachandan Oil, Wintercherry Bark, Nagkesar Flower, Ankurit Gehun Oil, Madhu, Rakat Chandan Stem, Lodhra Bark, Arjun Bark, Purified Water. I had gone through the biotique bxl advanced cellular products..
1-pl advised what is the exact name of the cream to apply at night from the range of bxl cellular biotique. 2- can i use both the bxl cellular protection cream spf 30 (for normal to oily skin) and bxl cellular nourishing pack on my face at the same time during the day? or only one cream is enough ? for bxl eye cream . its written on the box taht we have to apply it and then rinse it off? cant be applied overnight? Hi I live in Australia and would like to buy Boutique Advanced BXL Cellular Youth Serum. Can you please send me the website where I can purchase and have it mailed to Australia.